Boom Boom Boom. 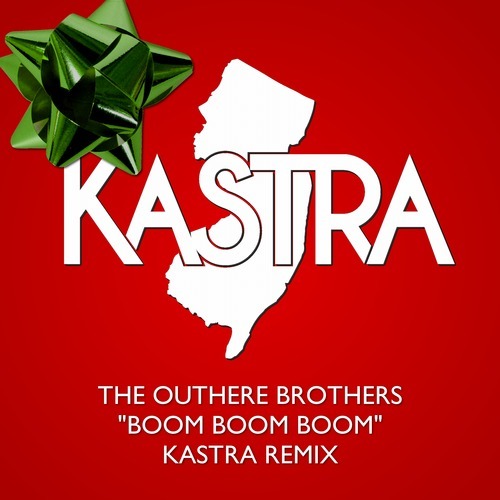 The New Jersey producer Kastra gives us an awesome remix of the 90’s hit, ‘Boom Boom Boom’ by The Outhere Brothers. The original track by the hip-hop duo has an upbeat dance beat to it which reminds me of ‘I Like To Move It’ by Reel 2 Real. I like the tune by The Outhere Brothers, and I actually discovered it from this video of a girl singing terribly over it that my friends showed me. That girl’s version is hilarious, sad, confusing, and makes me instantly regret watching it every time. So every time I listen to ‘Boom Boom Boom’ I instantly think of that haunting girl and her god-awful video. Luckily, Kastra made a killer remix of the track which does not remind me of that haunting video constantly. He put a an awesome electr0-house/Melbourne Bounce sound to the track which fits really well with the lyrics. I love the initial drop, and it brings that awesome energy that most Melbourne Bounce tracks have. The sound reminds me of something TJR would cook up, and I’m a ridiculously huge TJR fan. So naturally I fell in love with this remix the first time I heard it. Kastra released it on Christmas Eve as a Christmas present to thank his fans for their support this year. He released it as a free download on his Soundcloud, so you should definitely give it a listen and check out this awesome remix. Enjoy! There's something truly special and beautiful about music. It brings family, friends, and strangers together. When I'm sad I listen to music, and when I'm happy I listen to music. Sometimes when I can't find the words the music can say it all. Music inspires me, and it perhaps is my greatest teacher. It has taught me more than I know, and it has helped me make countless friends along the way. I absolutely love going to concerts, shows, and festivals, and I would never trade these experiences for anything. I listen to the music, I dance to the music, and I feel the music. But most importantly, I live for the music.